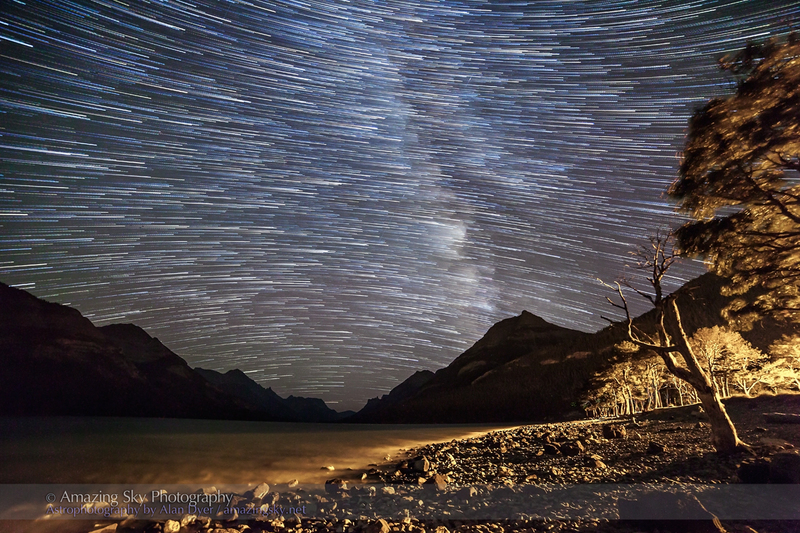 The Milky Way glows bright in the twilight of a summer evening at Waterton Lakes National Park. It’s been a marvellous weekend so far at Waterton Lakes, with another fine night ahead it appears, on a warm weekend to end the summer. 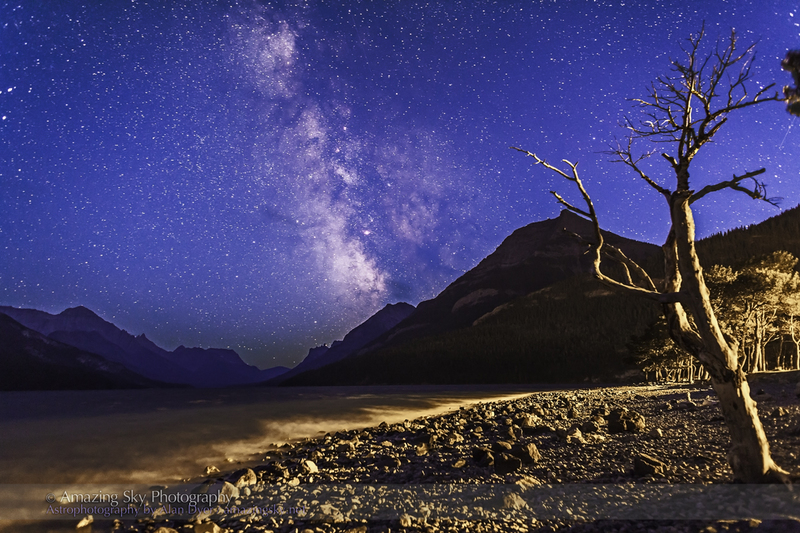 Two nights ago I set up cameras on the shore of the main lake, shooting south to the Milky Way. The main photo above shows the Milky Way while the sky was still deep blue with evening twilight. Light from the campground streetlights illuminates the old tree and foreground. 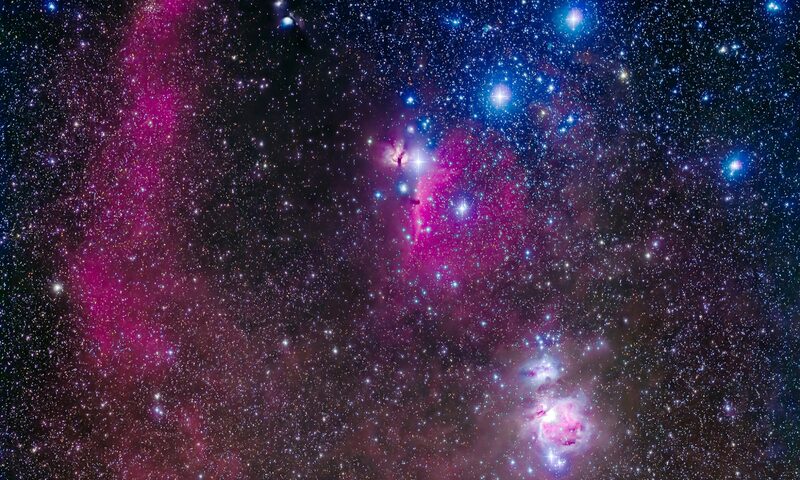 It is light pollution to be sure, but sometimes added lighting can help, especially on a dark moonless night. 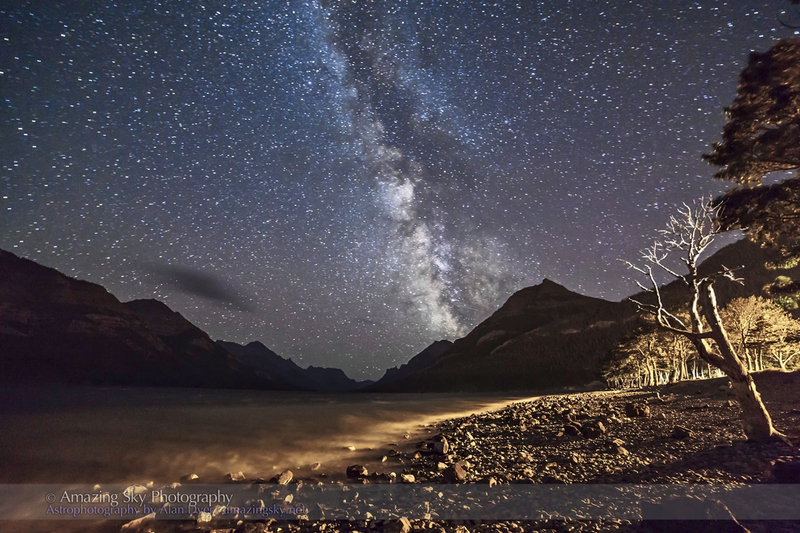 This shot comes from later in the evening with a wider angle lens and shows the Milky Way under dark sky conditions at the end of the long Upper Waterton Lake that extends south into Montana and Glacier National Park. By stacking about 35 images taken in quick succession, each 1-minute exposures, I created this star trail effect. I used the new version of StarStaX, a free program that does a great job stacking star trails. Its latest version offers this neat “comet trails” effect as an easy-to-apply stacking option.